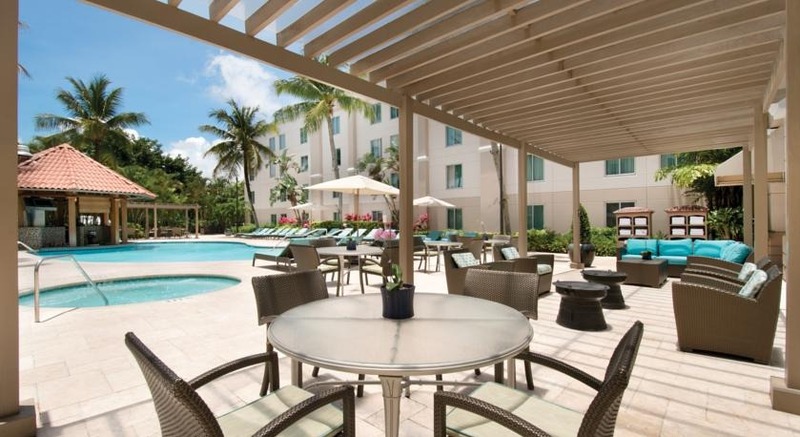 Hampton Inn & Suites San Juan is located just steps from popular Isla Verde beach. 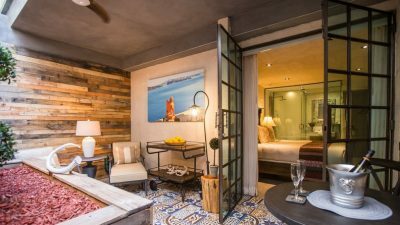 Highlights of the hotel include an outdoor pool with whirlpool and swim-up bar, and close proximity to the shopping, dining and historic sites of Old San Juan. Each classic guest room at Hampton Inn & Suites San Juan includes a 37-inch flat-screen TV and a hardwood desk. Rooms are furnished with a refrigerator and coffee maker. Guacamayo Pool Bar & Grill, located on the property, serves American cuisine for lunch and dinner. The hotel serves a hot breakfast each morning. Hampton Inn & Suites San Juan also has a gym, business center, and dry cleaning services. The colonial buildings of Old San Juan are seven miles from Hampton Inn & Suites San Juan. The Puerto Rico Convention Center is a ten-minute drive from the hotel. Fly into Luis Muñoz Marín International Airport (SJU), Puerto Rico. The hotel is about five minutes from the airport. Visit Hampton Inn & Suites San Juan’s website for more information.